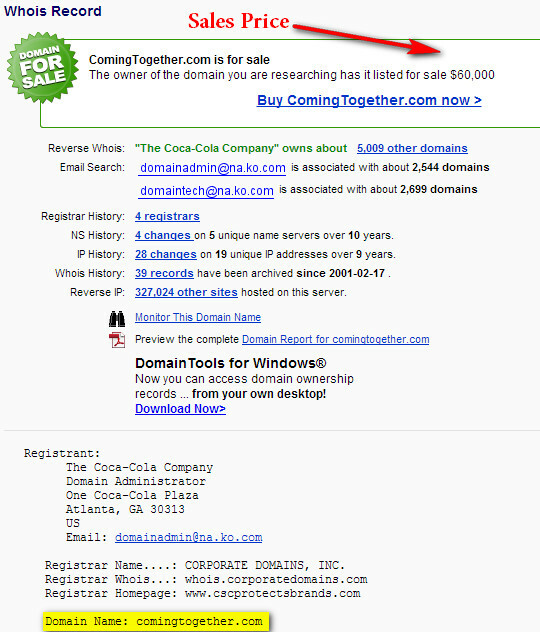 According to whois records the domain name Dating.com which sold for $1.75 Million at DomainFEST 2010 has been purchased by Harlequin Holdings Limited. Whois records show Moniker Escrow on 5/27/10 and as of 5/28/10 show a Jeff Gilroy of Harlequin Holdings Limited. I tried doing a little digging using the email address provided (JepekMarketing.com) and using Harlequin Holdings Limited but I didn’t really come up with much added information about the new owners of the Dating.com domain name.